I've been looking for gift ideas for my SIL's birthday this month and because she's miles away I'm going to ship it to her place in G.B. I'm choosing between home accessories, bags or purses because that's more likely her fave choices. Well look at this cozy lantern I've found at etsy.com. 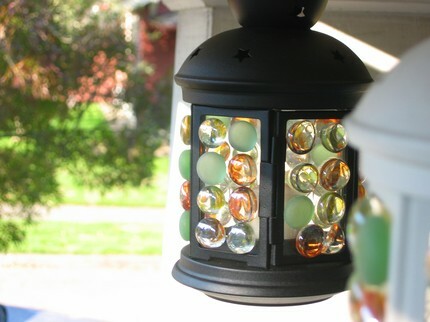 It's a lovely little 6 inch lantern bejeweled with sea-and-sand summer and fall tone glass beads. Perfect for hanging on my SIL porch or anywhere she likes. 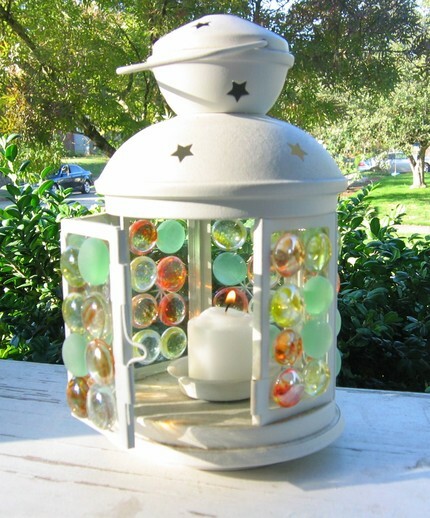 Easy access through a tiny cage door means easy candle replacement. Comes with tea light. This one costs USD10.00 and also available in black.Maybe it's nice having some of their other lantern items too.